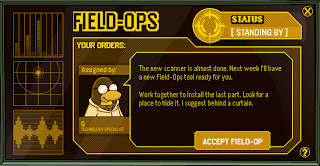 Club Penguin Cheats by Mimo777 Club Penguin Cheats by Mimo777: Club Penguin Weekly Field Op Number 16 Cheats! Awesome! What do you think will be new next week? 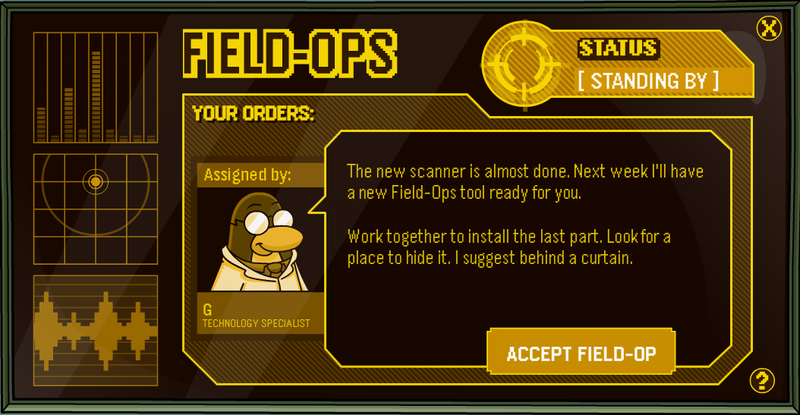 Will it be a new Field Op puzzle or will it be something for our Spy Gadget? Since it says "tool," I think it will probably be something for our Spy Gadget. I'm not sure, but sounds exciting anyway, don't you think? Step 6. Go to the Night Club. Step 7. Go up to the Dance Lounge and to the curtain. Your spy gadget light will turn green. 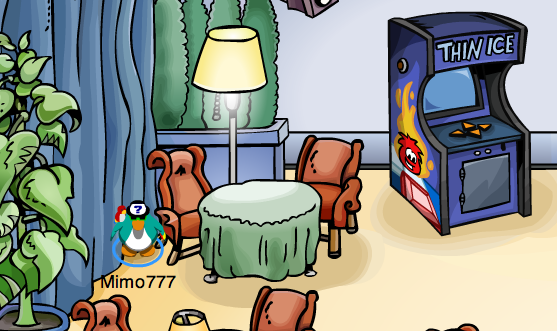 Maybe Its a new elite puffle like you can unlock flare to walk? maybe people who have unlocked flare can get the others now?? Cool. Maybe we can get a screw driver this time! And you do know that the series 10 Treasure Book came out right?